In 1989, cartoonist Berkeley Breathed ended the nine-year run of his popular Bloom County comic strip. The comic was originally an offbeat satire of life in the midwest, but it later evolved into (equally offbeat) social and political satire, all presented by a 10-year-old reporter, a penguin, a cat, and a handful of characters who weren’t 10-year-olds, penguins, or cats. Now, according to a Facebook post from Breathed himself, Bloom County is coming back. The post includes a photo of Breathed drawing what looks like Opus the penguin in an otherwise blank comic strip border, under the words “Bloom County 2015.” Breathed captioned the photo, “A return after 25 years. Feels like going home.” So yeah, it doesn’t seem like there’s any other way to interpret that than to say that he’s making at least one new Bloom County strip that will be released at some point this year. Someone commenting on the photo also asked if all of this has anything to do with Donald Trump’s presidential campaign (Trump played a role in the strip’s original ending), to which Breathed replied, “This creator can’t precisely deny that the chap you mention had nothing do with it.” So yeah, he’s making more Bloom County and it might be Trump-related. 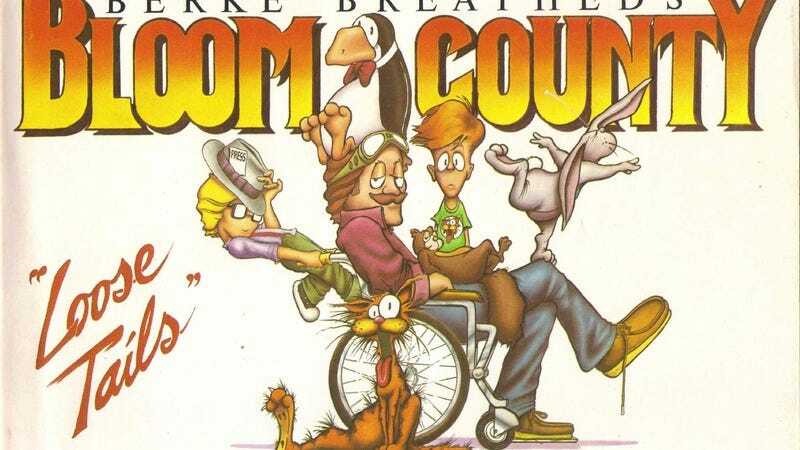 UPDATE: Not 24 hours later, Breathed shared the first new Bloom County in a quarter-century. Happily, it looks as though nothing’s changed.